Dennis and Teresa Walsh are recognized throughout the housing industry as leading experts and innovators in all aspects of residential construction, renovation, new home sales, real estate marketing and business development. “I believe the greatest success today and long into the future will come to those who choose to become ‘creators.’ And today, in the new homes arena, there are almost unlimited opportunities to create new inventory and grow your real estate success exponentially." 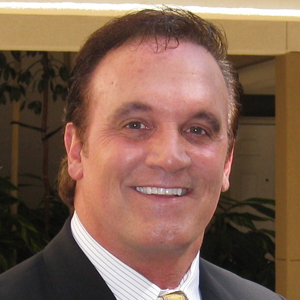 For 30 years, Dennis Walsh has been a featured speaker at major industry events, and highly regarded as an educator and consultant to a “who’s who” of real estate’s largest and most successful organizations. “For as long as I can remember, the majority of real estate sales professionals have been ‘waiters’…waiting for someone to buy or sell, waiting for the market to get better, waiting for builders and developers to bring new inventory,” he says. “I believe the greatest success today and long into the future will come to those who choose to become ‘creators.’ And today, in the new homes arena, there are almost unlimited opportunities to create new inventory and grow your real estate success exponentially." Teresa Walsh earned her real estate license at age 21, and worked in banking, building material sales, residential contracting and interior design. Dennis began in business as a contractor at age 16, and continued while studying economics, marketing and business management at John Carroll University. He subsequently established and operated numerous construction-related businesses, including manufactured housing, renovation, custom home building, architectural design, building material supply, and more. As a result, the Walshes are well known as innovators in the application of technology in home building, architectural design, factory component production, and education.